Neither the North nor the South had much of a navy before the Civil War. But at the war’s outbreak, both sides realized the strategic importance of the sea, to cut off supply routes, control rivers, and support land operations. One of the greatest developments? The ironclad ship, which could fend off explosive shells capable of sinking the toughest wooden ships. As the war progressed, battles unfurled on the sea as well as the land, and many argue that “Uncle Sam’s wet feet” (as Lincoln called the Union army) helped to defeat the Confederacy. Here are four ships that played important roles in the Civil War’s maritime war, all of which can be visited today. Commissioned in 1855 and incorporating small fragments of the 1797 frigate USS Constellation, this beautifully restored sloop-of-war served as flagship of the U.S. Navy’s African Squadron at the start of the Civil War. Its capture of the slave brig Triton in 1861 was one of the war’s first captures. After a brief respite back home, the Constellation headed back to the Mediterranean, where it spent most of the rest of the war protecting American interests. With 22 guns and three soaring masts, it was the Navy’s last sail-only warship ever built–and the last Civil War ship still afloat. It was active until 1955, when it finally was decommissioned. 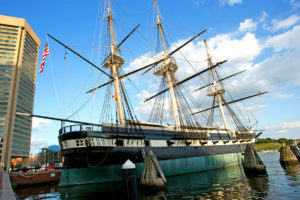 What to see: The USS Constellation occupies a primo location in Baltimore Harbor, where tours take in its nearly 200 feet in length. You can walk her decks and peer out over the water, learning first-hand what it was like to be part of Mr. Lincoln’s Navy. When built in 1861, the USS Cairo was one of seven powerhouse ships that held the North’s great hope to split the Confederacy in two. Built with angled defenses and the capacity to hold heavy artillery (13 cannon), the septet was destined to change naval warfare forever. Alas, on December 12, 1862, in a skirmish on the Yazoo River just north of Vicksburg, an electronically detonated torpedo sunk the USS Cairo within 12 quick minutes–the first ever ship to be destroyed in such a way. For years it sat on the river’s floor, slowly smothered by silt and mud. After a while, no one was even sure of her whereabouts. Then, in the 1950s, Edwin C. Bearss, historian at Vicksburg National Military Park, began researching maps and documents, determining the wreck’s approximate location. Progress was slow, and the first dives yielded no results. However, in 1959 the armored port covers were brought up, confirming the ship’s discovery. The pilothouse, an 8-inch smoothbore cannon, and other artifacts recovered in 1960 clinched the deal. 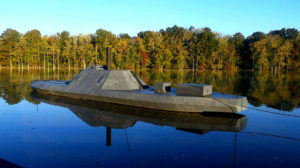 What to see: Today, the restored gunboat can be viewed at the USS Cairo Gunboat and Museum, in Vicksburg, Mississippi, including weapons and personal belongings of sailors. Summer ranger programs help bring the story to life. Commissioned in April 1864, the CSS Albemarle was built as a formidable defensive river battleship: slow and clumsy, covered in iron plates, an iron ram protruding from her bow–the perfect obstacle to any Union threat. Almost immediately, it saw action along the North Carolina Coast, living out her defensive role. And then, in October that same year, the Union sent a ship equipped with a spar torpedo in search of her. It found her on the Roanoke River, fired, and successfully took her down in only six feet of water. After the war it was towed to Norfolk, with most of her parts being sold off at auction. A cannon and her smokestack survive. 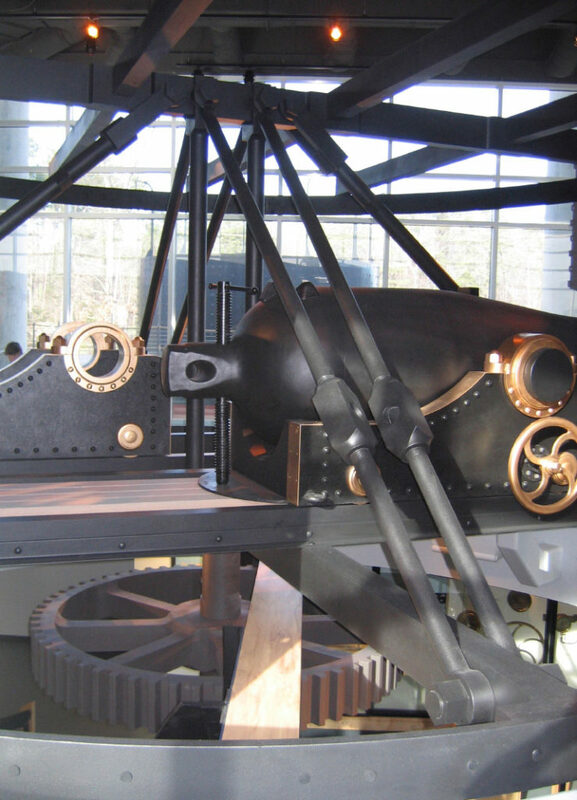 What to see: See her cannon and smokestack at the Museum of the Albemarle in Elizabeth City, North Carolina. There’s also a 3/8-scale re-creation of the ship, moored behind Port O’ Plymouth Museum in Plymouth, North Carolina; the ship offers cruises up the Roanoke River, firing its gun upon request for groups. When President Abraham Lincoln learned about the Confederacy’s ironclad warship, the CSS Virginia, he decided the Union should have their own. Thus was set forth the construction of the USS Monitor, designed by Swedish-American inventor John Ericsson. This magnificent ship, featuring a rotating gun turret and low draft, was launched on January 30, 1862, on the East River in Connecticut. Its most famous action occurred in March that same year at Hampton Roads. Imagine the surprise of the Confederates when they sailed into the harbor there, to discover the venerable USS Monitor waiting for them. The two ships engaged in four hours of battle, during which time the Monitor’s captain, Lt. John Worden, experienced temporary blindness. The ship was taken to shallow waters, where the Virginia could not follow. The Virginia hence declared victory. However, when the Monitor reemerged the next day and saw the Virginia had left the vicinity, it too assumed victory. In the end, the first ironclad vs. ironclad battle was a draw. Ironically, the Monitor did not meet its demise in battle but during a tremendous storm on New Year’s Eve 1862 off the coast of Cape Hatteras, North Carolina. Fierce waves were too much even for this stalwart ship, and the men were forced to escape via the turret. Sixteen were swept off the deck into perilous waters. 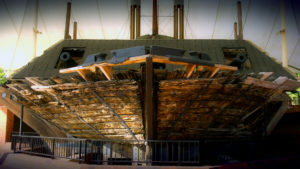 What to see: Though the Monitor was lost, the Mariners’ Museum and Park, in Newport News, Virginia, showcases a full-scale replica and some of the 200 tons of priceless artifacts recovered from the doomed ship.